In 1968, Steve McQueen was the coolest guy on the silver screen, and America’s youth were infatuated with Ford’s new pony car, the Mustang. Ford had recently stepped their game up from the anemic 200 CI straight six and the 289 small-block V8 by introducing the GT390, a Mustang with the power to back up its name. McQueen’s famous detective film Bullit was the perfect vehicle to market the car, and the rest is history. Ford’s first “Bullit special” Mustang hit showrooms in 2001, and the SN197 car received the Bullit treatment as well in ’08. Now, it looks like we might be seeing a third installment in the much-loved line of Mustang tribute cars. Fifty years after the making of the original film seems like a good time to recognize the Mustang’s historical significance, and 2018 just so happens to be the Bullitt’s 50th anniversary. So is it a coincidence information about a new Mustang model is beginning to leak? We think not. Dwayne “The Rock” Johnson recently exposed what appeared to be a Bullitt window sticker in a promotional video he did for Ford. Though the Dearborn-based automaker called the sticker a fake, the evidence is stacking against them, which is a good thing for Mustang fans. Not only is it 50 years after Bullitt entered cinema fame as the defining film for car chase sequences, but the Mustang has just received a refreshing update from Ford. With a revised frontend, enhanced power output for the 5.0 and EcoBoost engines and a slathering of other mid-cycle goodies, it’s time for a limited-edition trim package to get the world’s attention. 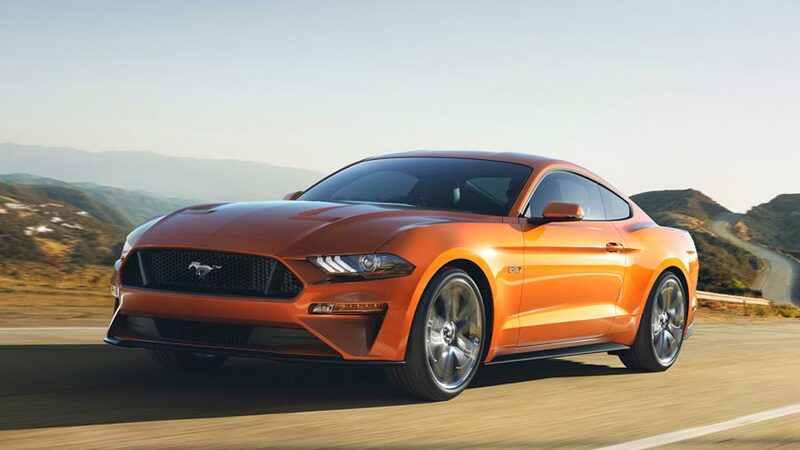 Bullit cars have come early in the product lifecycle for the previous SN197 and SN95 Mustangs, and many enthusiasts worried the trim level had been retired when the new S550 chassis bowed out without a McQueen tribute on the order sheet. Ford is still in denial, but we think we have evidence to confirm this car is in fact on the way. With both previous Bullitt Mustangs, we’ve seen Ford apply highland green paint, five-spoke Torq Thrust style wheels, and a unique faux fuel-filler cap. None of those options are available on the standard Mustang options list. However, shots from multiple spy photographers are confirming exactly this feature combination on Mustangs being used for commercial shoots. Coincidence? Not likely. In addition to the enhanced aesthetics, Bullitt cars have traditionally received a smattering of go-fast goodies. You know, to get away from the bad guys in their Dodge 440 Chargers. A keen eye spotted upgraded brakes on one of the commercial cars that might indicate Bullitt Mustangs will come standard with the GT performance pack, which includes a shorter axle ratio, upgraded rubber and a limited-slip differential to complement the Brembo stoppers. Ford continues to deliver on their promise of power to the people with the affordable, high-performance Mustang. This third coming of the Bullitt special might not make you into Steve McQueen, but it’ll put a smile on your face and leave some damn fine tire tracks, that we can promise you.